In 1889,as more Cubans migrated to America to follow the cigar industry here,Arturo Boza, Jr. opened a funeral home in Key West. His heir, Armando P. Boza introduced the first motor hearse there in 1926, and in 1928 moved the entire funeral home operations to Tampa in 11 trips with the hearse. Following the death of Armando P. Boza, Sr.,Gerald M. “Jerry” Boza and Armando P. Boza, Jr. succeeded their father and continued the Boza tradition of providing caring service to the Tampa community. Following Jerry’s death, Armando Jr. along with his wife Margaret “Maggie” Boza continued operating the Tampa funeral homes in the family tradition. 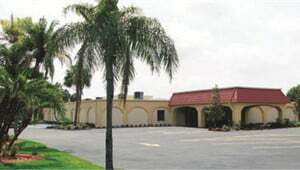 In 1999, the A. P. Boza Funeral Home merged with the Roel & Curry Armenia Chapel, founded in 1975 by James Roel. Today it operates as the Boza & Roel Funeral Home, which proudly continues to serve the families of Tampa and surrounding communities. Dan started his calling in the Funeral Industry over 40 years ago in New York, moving to Florida in 2003 and working for leading funeral homes. Dan started with Northstar in December of 2014 and has never looked back. Working with great professionals in our industry is wonderful, it makes helping Families our main concern easier. Dan lives in Palm Harbor, Florida with his wife and best friend Jane, and their son Joseph. Their daughter Danielle Bateman serves in the U.S. Navy with her husband Josh along with Dan and Jane’s pride and joy their 3-year-old grandson JJ. Transplanted from Illinois to Florida in 2012, and has been with Northstar Memorial Group since the acquisition in 2014. Enjoys being of service to the families of Tampa. Originally from Phoenix, Arizona, Karen De Bruin started her career in Kannapolis, North Carolina where she served for 5 years first as an apprentice, and then as a licensed Funeral Director and Embalmer. In 2016, she moved to Tampa, FL where she continued serving families in various Funeral Homes before settling at Boza and Roel. She has been with us since 2018.